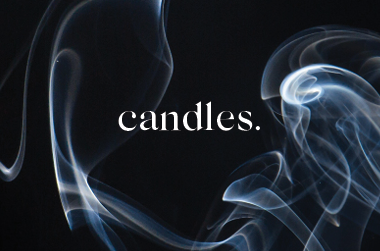 Centuries of dedication to the craft of candlemaking. Cire Trudon had a humble beginning in the 17th century, and by the 18th were the candlemakers supplying the court of Louis XV, and many of the kingdom’s largest parishes. In 1737 Cire Trudon began work in la Manufacture Royale de Cire, which is one of the most famous wax producers of the time. Known for its incredibly high quality beeswax, Trudon candles became known for their inimitable glow. Luxurious and artisanal, Cire Trudon candles are made entirely by hand, with hand-blown glass made in Italy and fragrances created by masters. Though now today Trudon candles are made with a thoughtful blend of vegetable waxes that imitate the same qualities of their original beeswax candles for environmental reasons, Cire Trudon are known as one of the oldest and most reputable candle companies in the world. With a rich history that is strongly linked to Versailles, through hundreds of years of aristocracy and their grand palaces, and continued to supply the imperial court after the French Revolution. Cire Trudon carried on their fine chandlery even after the invention of electricity, opening boutiques around the world, from their home in France to New York. What are the best Cire Trudon candles? I’m looking for something distinguished, like an expensive library. Ernesto is sunshine, leather and fresh tobacco. Rich and universal, distinctively masculine, yet creamy and refined. The perfect gift for any occasion. I’m looking for something clean, crisp and inviting. Abd El Kader is the scent of Moroccan Mint Tea, a spicy yet fresh homage to mountains and sea breeze. Abd El Kader is also available in a room spray. I want something to uplift my mood. Cyrnos is a tribute to sunshine along the coast of the Mediterranean shores. Aromatic citrus gardens are well-rounded with comforting musks and gentle patchouli. Also available in a room spray. A wonderful gift to a house party host. This is a beautiful gift and always great to have a few in each room around the home as it leaves a beautiful aroma that is both clean and luxe.